Can Migrants Boost European Growth, Ease Labor Constraints? 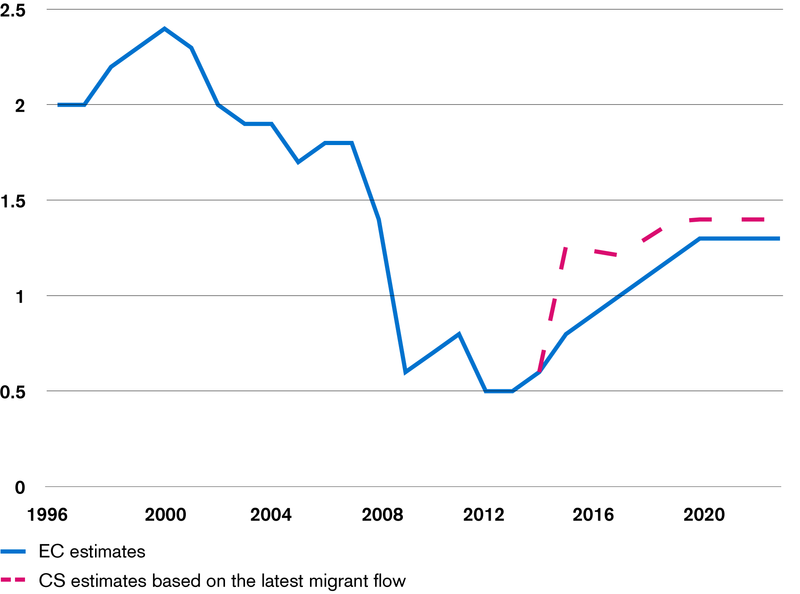 As the largest displacement of asylum seekers since World War II continues to pour into Europe from Syria, Iraq and Afghanistan, a silver-lining may be emerging from the emotionally-charged storm cloud that currently hangs over Europe's migrant crisis – the inflow of migrants and refugees will actually benefit European economic growth and ease the region's constrained labor market for years. A recently released report from the Credit Suisse European Economics Research team concludes that the inflow of refugees and migrants from Syria and Iraq will generate public expenditures which could add "0.2 to 0.3 percent to GDP growth next year," and boost the labor input to potential output growth by an additional 0.2 to 1.3 percent on average from 2015-2023. "On balance, we believe net migration should be viewed as an additional tailwind to euro area GDP growth," the report concludes. "Economic growth should continue to benefit in coming years as young migrants start to become integrated into the labour market." The report, entitled "With Arms Wide Open?" in a nod to German Chancellor Angela Merkel's recent call for an open arms approach to the crisis, predicts net migration will boost Europe's population by 5 million to 340 million over the next five years. This influx should add to short term economic growth. In the longer term, the report says the fact that migrants are mainly young increases the working age population and will address "worrying demographics and pension dynamics" in the euro area. "Large numbers of migrants put pressure on countries which are concerned that coveted social welfare systems will become overburdened, and where unemployment has risen sharply and anti-immigration parties are on the rise," the report notes. "But viewing a large number of net migrants as an economic cost would be a mistake, in our view. We believe the effect of a large number of migrants on euro area public finances, pensions, demographics and potential growth should be positive," the report concludes. The larger benefit, the report claims, will come from the long-run impact on Europe's labor market, which is coping with an aging population, primarily in Germany and Italy, and increasing number of retirees who live on public benefits. This growing pool of dependent retirees is drawing from a smaller working age population. 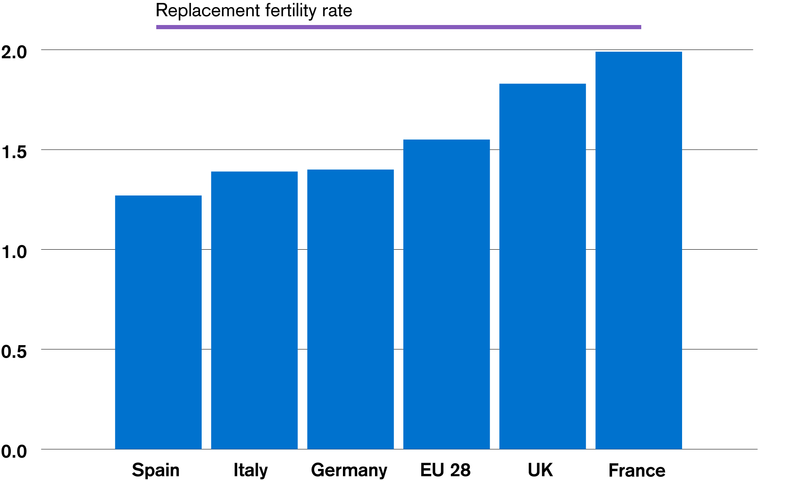 "When it comes to potential GDP, European demographics are partly to blame for the subdued outlook," the report states. 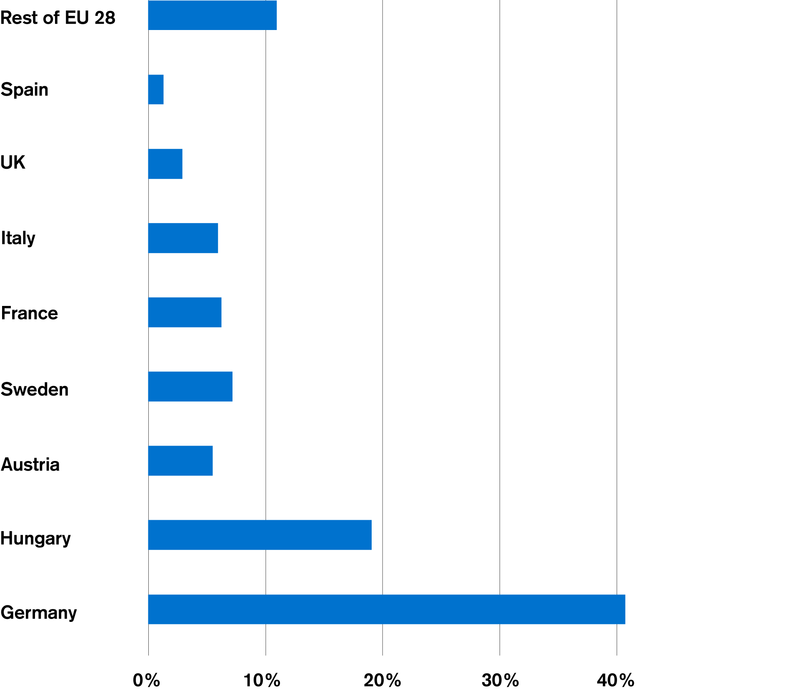 "The European Commission (EC) estimates growth will average 1.1 percent over 2015-2023, and this is partly due to the very subdued labor input contribution which the Commission estimates stands at a mere .2 percentage points." The Credit Suisse report notes that the influx of migrants and asylum seekers to Europe is typically young and male. Of those that have entered Germany this year, just over half are aged between 18 and 34 and just over three-quarters are old enough to work. "Adding young migrant labor to the aging workforce in Europe pushes its long-term growth potential," the report notes. The analysis projects that the labor's contribution to potential output growth for the euro area will double from 0.2 percent to 0.4 percent annually on average from 2015 to 2023, raising potential output from 1.1 percent to 1.3 percent annual growth." "All money spent on migrants' basic necessities is likely to fully find its way back into the economy," the report states. Over time, the influx of migrants will increase the working age population, "contributing more in taxes and social benefits than they will receive". Over the past few months, the migratory outflow into Europe has increased mainly as a result of Syria's ongoing civil war. The most recent data suggest that the number of registered Syrian refugees has increased from 3.8 million at the end of 2014 to 4.1 million today. The number of asylum applications to Europe has increased significantly over the last few months, with Germany, Hungary and Austria seeing the largest increases in asylum applications. Germany expects 800,000 migrants this year alone. The United Nations refugee agency reports the largest group of migrants entering Europe through Turkey and Greece are Syrians, followed by Iraqis and Afghans. Germany, Hungary and Austria are leading when it comes to the increase in asylum applications, and the differences across EU countries are stark. While Germany received just under half of the total new asylum applications between January and July of this year, just over 1 percent applied in Spain. 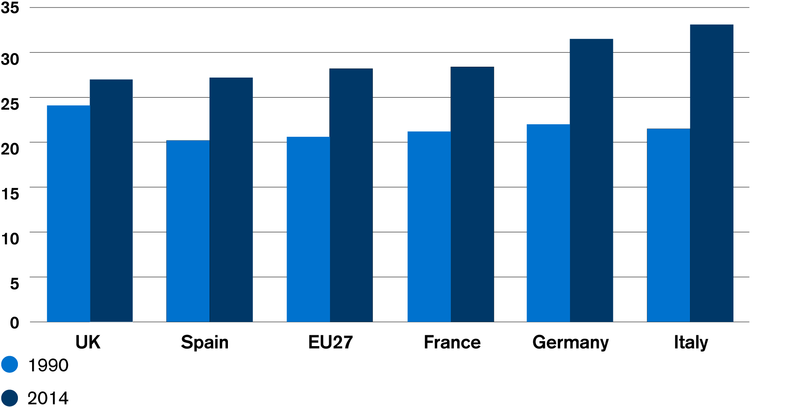 Is active Can Migrants Boost European Growth, Ease Labor Constraints?